OK.. BUILDING! The thing we have all been waiting for 🙂 – but wait! You shouldn’t just dive in! A strategy can gain you more influence and save you money. OK, I presume you have found your land and purchased it? Now you want to earn your self some influence by building. 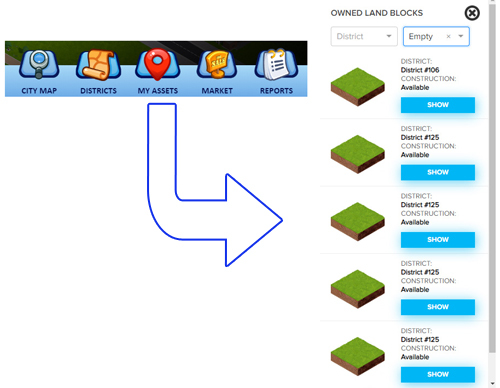 You can find your purchased land using the “MY ASSETS” button at the bottom of your screen. You will now see all your purchased land in the list. 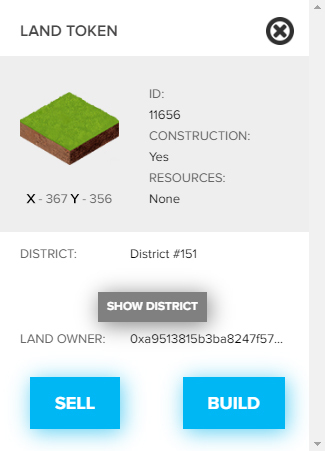 You can go directly to your land by clicking show. 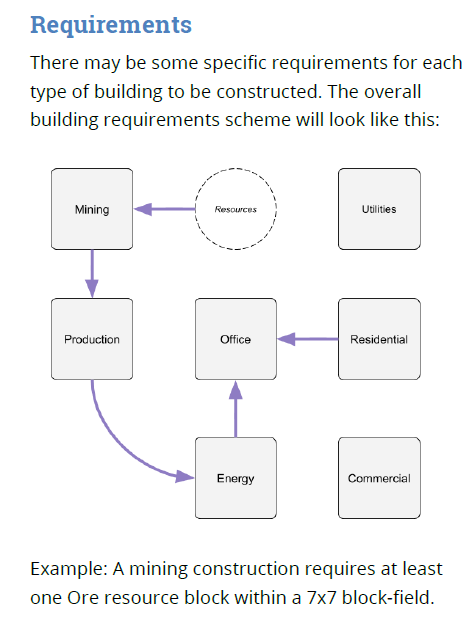 Each building has it’s own requirements to be built. it is explained in basic form within the original whitebook. Hopefully this whitebook is updated or soon to be. I am going to try my best to explain a little more myself, so do not worry.